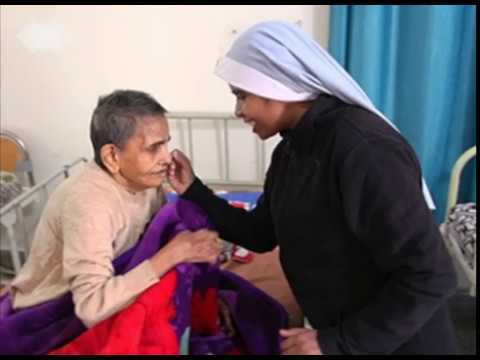 " Called to be a Healing Presence "
Sr. Irene Fernandez, the Society Coordinator, made her official visitation of Unit South India from Jan 2nd to Feb 15th 2018 and shared her love and concern, encouragement and words of wisdom with us. Inter Unit Formation Meeting was held in Holistic Health Centre, Pune from February 23rd – 26th 2018. Formation personnel from Units North, South and North East India participated in it. Three sisters participated in the Gathering of Newer Members (GNM) at Germany from July 13th to August 16th. There were 20 participants from 8 Nationalities. It was an enriching experience to move forward in our ministry with the fire & flame of our founder Mother Anna Dengel. The disastrous flood in Kerala shook and shocked all of us. We the MMS are actively involved in responding to the various needs of people in different ways possible. Hearty Congratulations to Sr.Mini.Amalolbhavam who made her Final Profession of vows on Sep 8th, 2018. We celebrated 93 years of our Foundation Day on September 30th, 2018. We are grateful to Jesus for all the blessings to continue His Healing Ministry. Sisters visited the flood affected people at Ramankary and Kosamattam Colony, Kottayam. They provided them with the essential things which they were in need of. The Interim Unit Assembly of South India was held from Nov 27th to Dec 3rd 2018 at Provincial house, Kottayam with the theme of 'Rooted in God, Embracing the Future with Hope'. We together with other NGOs and local groups were honoured by the people at Kosamattom Colony as a gesture of gratitude for the help and assistance they received at the time of disastrous flood. The Blessing of the new house 'Shalom' - the home for elderly sisters near Marygiri Hospital, Bharananganam, was officiated by Mar Jacob Muricken, the auxiliary Bishop of Palai on 30th Jan 2019. Friends, benefactors, neighbors, coworkers from Marigiri hospital and many Medical Mission Sisters from Unit South India were present to grace the occasion. The United Nations’ Day (25 years of presence of MMS at UN) was celebrated on 12th Feb 2019 at IHM Hospital, Bharananganam. Sr.Celine Paramundayil the MMS UN representative presided over the function with the presentation of the Structure of UN, its functions and the relevance of MMS presence at UN and the meeting was followed by group discussion. The Nursing students, members of networking group, MMS, priests and religious participated in the event. The Blessing of new MMS house in Kamakshy, Idukki, took place on March 2nd, 2019 by Bishop Mar John Nellikunnel. Many parishners, priests and religious from neighboring parishes and 15 MMS were present for the occasion. MMS are the first religious in the parish and people warmly welcomed the sisters. "Drawn by God present in the centre of our being and in all created life, and in the spirit of Jesus, sign of hope and contradiction, we are women of many cultures and from many nations. We are called to be a healing presence at the heart of a wounded world, to witness to the integrity of all creation, and to build one world where the gifts of all people, all cultures, all creation are affirmed and celebrated." Medical Mission Sisters , Collectorate P.O , Kottayam – 686002 , Kerala, South India.